28 June 2007: In 2008, the world reaches an invisible but momentous milestone: For the first time in history, more than half its human population, 3.3 billion people, will be living in urban areas. By 2030, this is expected to swell to almost five billion. Many of the new urbanites will be poor. Their future, the future of cities in developing countries, the future of humanity itself, all depend very much on decisions made now in preparation for this growth. While the world’s urban population grew very rapidly (from 220 million to 2.8 billion) over the 20th century, the next few decades will see an unprecedented scale of urban growth in the developing world. This will be particularly notable in Africa and Asia where the urban population will double between 2000 and 2030: That is, the accumulated urban growth of these two regions during the whole span of history will be duplicated in a single generation. By 2030, the towns and cities of the developing world will make up 81 per cent of urban humanity. The United Nation Population Fund, UN agency, says in a new report that humanity will have to undergo a “revolution in thinking” to deal with a doubling of urban populations in Africa and Asia. The UN continues to say that the number of people in African and Asian cities will grow by 1.7 billion by the year 2030. And worldwide, the number of city dwellers will reach five billion or 60 per cent of the world’s population. The report ‘State of the World Population 2007: Unleashing the Potential of Urban Growth’ says globally, all future population growth will take place in cities, nearly all of it in Africa, Asia and Latin America. “What’s more, the growth marks  what the report calls  “a decisive shift from rural to urban growth, changing a balance that has lasted for millennia,” it adds. The United Nations also warns that a doubling of urban populations in Africa and Asia by 2030 will have harmful consequences if governments do not prepare now for the coming growth. In this year's State of World Population report, the UN Population Fund says this unprecedented wave of urbanisation offers potential opportunities or dismal failures. The report explains that next year, for the first time in history, more than half the world's population will be living in cities. It says that by 2030 almost five billion people will be urban dwellers. It says the populations in African and Asian cities will have doubled. The populations of those cities will be greater than the number of people living in China and the United States combined. Until recently, rural settlements were the epicentre of poverty and human suffering. All measures of poverty, whether based on income, consumption or expenditure, showed that rural poverty was deeper and more widespread than in cities. Urban centres on the whole offered better access to health, education, basic infrastructure, information, knowledge and opportunity. Such findings were easy to understand in view of budgetary allocations, the concentration of services and the other intangible benefits of cities. Poverty, however, is now increasing more rapidly in urban areas than in rural areas but has received far less attention. 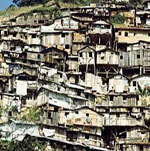 Aggregate statistics hide deep inequalities and gloss over concentrations of harsh poverty within cities. Most assessments actually underestimate the scale and depth of urban poverty. Hundreds of millions live in poverty in the cities of low- and middle-income nations, and their numbers are sure to swell in coming years. Over half of the urban population is below the poverty line in Angola, Armenia, Azerbaijan, Bolivia, Chad, Colombia, Georgia, Guatemala, Haiti, Madagascar, Malawi, Mozambique, Niger, Sierra Leone and Zambia. Many others have 40 to 50 per cent living below the poverty line, including Burundi, El Salvador, the Gambia, Kenya, the Kyrgyz Republic, Moldova, Peru and Zimbabwe. Many other nations would be included in this list if their poverty lines made allowance for the real costs of non-food necessities in urban areas. Urban mismanagement often squanders urban advantages and the urban potential for poverty reduction. Although urban poverty is growing faster than in rural areas, development agencies have only recently begun to appreciate that they need new interventions to attack its roots. Chief of the UN Population Fund's Resource Mobilization Branch, Jean-Noel Wetterwald, says the urban explosion can be managed if governments prepare for it. But if they put their heads in the sand, he says, the future prospects will be frightening. "Urbanisation is unavoidable," he said. "You cannot stop it. So, it is better to prepare for it and, rather than concentrating on measures to avoid or to exclude people from cities, make sure that they have access to services such as health and schools. And this is what we are saying. The concentration of people concentrate the problems, but also concentrate solutions." The report says the speed and scale of urban growth will require a revolution in thinking. 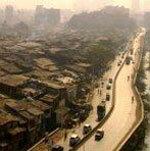 It notes the number of people living in cities in Africa and Asia is increasing by about one million every week. It warns global action must be taken now to help cities prepare for growth and head off economic and social problems before it is too late. The report says more than half of the world's current population of 6.7 billion people will be concentrated in cities by next year. While mega-cities of 10 million or more will continue to grow, it says most people will live in mid-size cities of 500,000 people or less. The UN stresses that most urban growth results from natural increase, that is people being born in the cities, rather than from migration. It says policy makers can reduce the pace of growth by supporting measures such as poverty reduction initiatives, education, particularly of women and girls, and health measures, including reproductive health and family planning services. Jean-Noel Wetterwald tells most of the people living in developing cities are poor and half of their populations are under age 25. He says these young people have special needs. "We have to make sure that we have proper education services in place because if this is not the case, then you will see what urbanisation can offer at its worst, which is criminality, illiteracy and all these evils," he added. The report says cities are great places and should not be viewed negatively. For example, people can more easily access basic services there than in rural areas. While cities may have poverty, they also offer an escape from poverty. It notes no country in the industrial age has ever achieved significant economic growth without urbanisation.